No secret or obscure meaning intended here although I did intend it to be symbolic. This piece was a gift for my Mom when she turned 83. It represents my rather largeimmediate family, at least by today's standard. Mom and Dad are above with their eight children below. 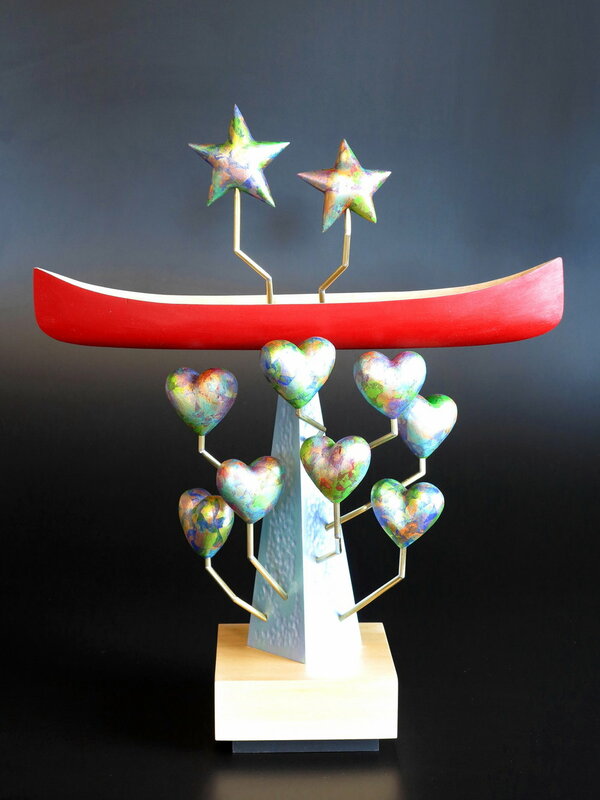 The canoe symbolizes our shared life journeys. The stars and the hearts represent... well, enough said, you get it.